The new die cast Liquid reel focuses on the virtues and advantages a pressure-cast process can offer. Structurally you can do things with casting that you can’t machine, such as full radiused compound curves, near zero-radius inside corners, and for precise fit and finish you can go back and machine the cast part in critical areas amplifying the best aspects of the process. No other $100 reel can boast this much U.S. content and quality oversight. Nudging out a worthy old war horse like Konic wasn’t easy. It took a blank sheet of paper and sharp electrons. Enjoy the best of all worlds, including the best of Idaho, USA. 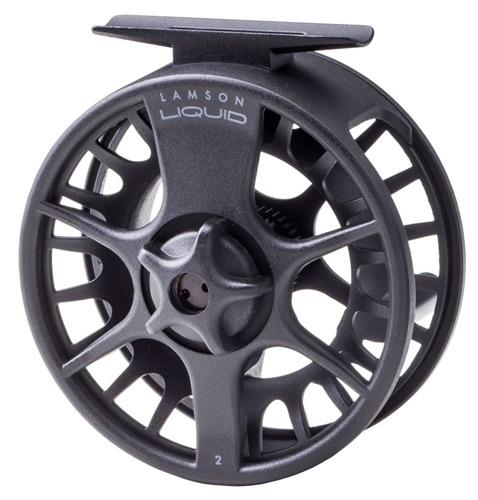 Liquid reels ship with standard black anodized cassette. Three color sleeves are offered as an option to customize the reel. The anodized aluminum sleeve fits over the standard cassette.